Talk radio LBC 97.3 has grown its audience by almost a third amid a healthy picture of the capital's commercial radio stations this quarter, according to the latest Rajar listening figures. All of the top five stations in London showed expansion in the second quarter of 2017, compared to the previous quarter – with Kiss London, Heart London and LBC 97.3 all showing double-digit growth in the three months to 25 June. Although London’s largest station overall, Global-owned Capital, did not experience the same huge audience increases, it still grew by 3.3% on Q1 2017, and by 2.1% year on year. In Q1, Capital had managed to post a quarterly increase of 29.5%. With an average weekly reach of 2.31 million, Capital retained a comfortable lead over its nearest rival, Bauer’s Kiss London, which drew an audience of 2.05 million. However, Kiss London’s figures were the result of a 13.8% uplift on the previous quarter, part of a series of positive numbers including Heart London’s 21.9% growth in Q2 and a hike of 31.6% at LBC 97.3. Heart London’s expansion to an audience totalling 1.7 million each week helped it leapfrog into third place in the capital, leaving Magic trailing at 1.55 million listeners, although that figure was still a quarterly increase of 6.4%. And while LBC 97.3 stayed in the fifth spot, its surge in growth meant that the Global-owned talk radio station posted an average weekly audience of 1.41 million, up from 1.07 million in Q1 2017. 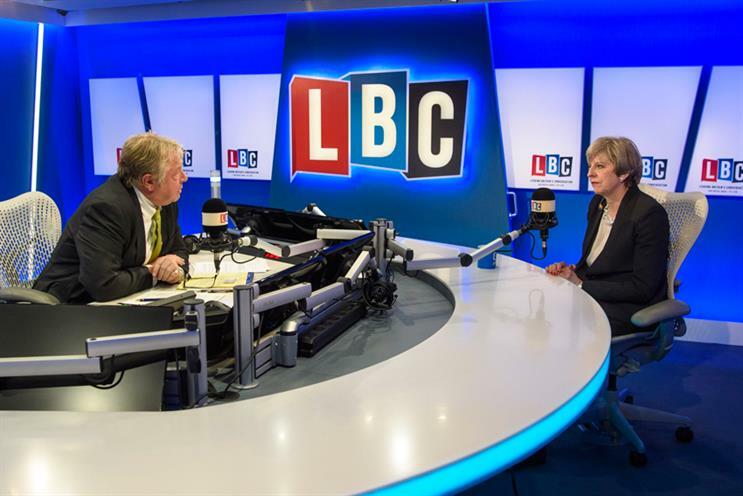 Havas Media publishing manager Rich Hall said the political uncertainty of 2017 was a driver for the success of talk radio, including LBC and Wireless Group’s Talk Radio, which returned as a digital brand in March 2016. "At a station level, this has been a really strong Rajar result for LBC, which continues to go from strength to strength – though in a year that has contained further political uncertainty, including a snap general election, this is hardly surprising," he said. "The same can be said of talkRADIO which has seen listening increase over 20% since its beginning." But LBC 97.3 managed to grow by 9.2% over the year, with leader Capital London up by just more than two per cent. Despite Capital keeping hold of its spot at the top of the London commercial radio league, the station’s breakfast show did suffer in Q2. Attracting an average weekly audience of just less than 1.09 million, a slide of 12.7% from more than 1.24 million listeners in Q1, the breakfast show did underperform against its competitors in terms of growth. The hit coincides with a change in presenters as Capital’s lead breakfast host Dave Berry left in April for a move to Absolute Radio, with co-hosts George Shelley and Lilah Parsons replaced at the same time. Roman Kemp, son of Spandau Ballet’s Martin Kemp, took over the reins at Capital Breakfast on 2 May with co-host Vick Hope. Meanwhile, Kiss London’s breakfast show with Rickie, Melvin and Charlie had a slight dip to 914,000 listeners, from 941,000 in Q1 and 921,000 the same time last year. Nick Ferrari’s show on LBC 97.3 had a surge in popularity however, expanding 33.6% to an audience of 906,000, reflecting its overall growth trend in the capital.